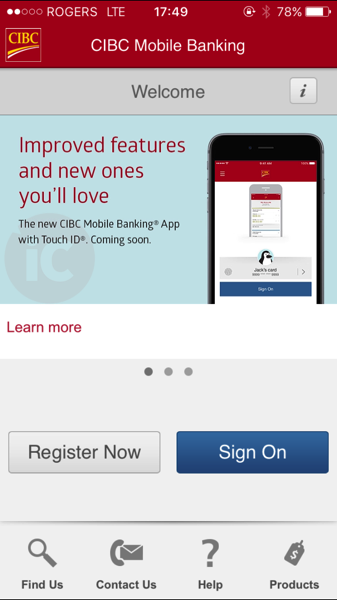 CIBC Mobile Banking app users, a new version is coming soon which will bring support for Touch ID for logins, a highly requested feature by customers. The financial institution has teased new features of their app on the company’s website and within the existing app itself. Users will be a be able to access all of their CIBC deposit account details, including mutual funds, mortgages and loans, while also manage their INTERAC e-Transfers within the app. No specific timeline for this update was mentioned, so stay tuned. The addition of Touch ID and iPhone 6 screen support will be a welcome addition for CIBC customers, which hope the bank will also support Apple Pay in the future.